Will be pointless dude. Neither Ham nor Bottas will be pushing to the limit. DR's car wont be finishing races. Kimi IMO has gotten his race win, he wont be bothered now. So it will be between Max and Seb. So whatever he shows, it will not be a true reflection. Inevitable WDC for HAM was no surprise but our boys did a great job and it's just weird that those races after Monza we lost so much speed and now seem to have got it back. Loved it when Seb ignored Coulthard's question after the race about his loss of form after Monza and Seb just walked away to congratulate HAM.....that question has been discussed to death and we need to look forward. With Seb and Charles next year, anything is possible. this is what i don't understand. Did our car get quicker, or did Mercs get slower? since their last win in Japan, mercs have lost half a second. Something odd going on behind the scenes? This is formula one. World drivers championship over or not, a formula one victory is pricless even if it's just one win. So i think we will see some good racing if not better now that all pressures are off. Dear gods no.. just NO! I don't want that pretentious attention seeking little #### near the Queen. Getting a knighthood for simply sitting in the most dominant F1 car of all time would be an insult to actual GREAT british drivers like Clark, Surtees, etc. Now some are saying Merc plugged the holes in the rims again. I don't know how reliable that info is until photos emerge but obviously their tyre wear was horrible. On the PU side. 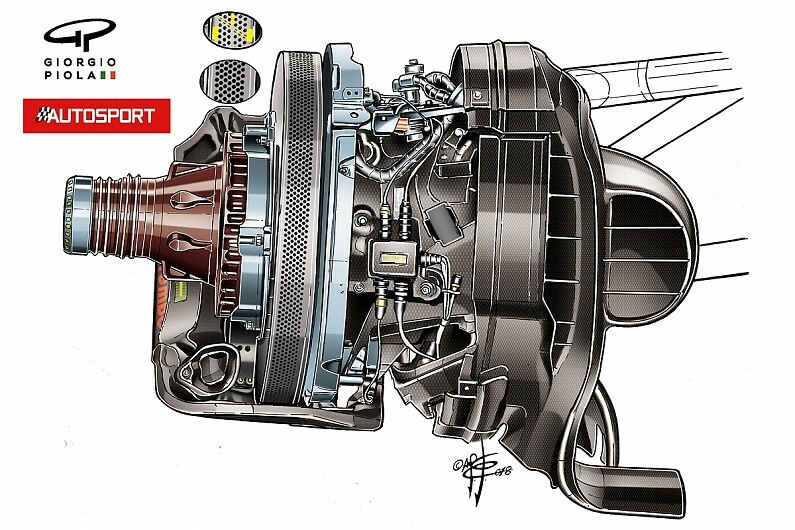 If Merc are smart they will change both engines prior to saturday in Brazil and just concentrate on scoring points. They will, with penalties, score at least 5th and 6th and that's obviously better than to risk DNFs and not score anything. Sao Paulo is between 739-782 meters above sea level and it's basicly the same as Austria. Also, they weren't the fastest in Brazil last year either. Lewis might now have five titles but I don't rate him on the same level as Fangio. Infact I don't rate him on the same level as Prost either. Prost could have been at least a six-time WDC with some luck and if Senna would have been DSQ in 1990 for Suzuka. In 1988 he scored the most points but all wasn't counted. He lost in 1983 by 2 points and in 1984 by half a point. He also only had one clearly dominant car except for the 1988 McLaren and that was the 1993 Williams. I rate Lewis on the same level as Senna. Great gesture by vettel, going into mercs crew n congratulating them. ...!! won't be too far fetched. Helmut Marko even told Italian SkyF1 that Riccardo shouldn't complain about failures and he better get used to it for the next 2 years. Quite unethical if you ask me. He already has a MBE so your a bit late. Well let's hope that's all he gets. Sir Lewis - sounds about right. Absolutely correct for Vettel to say that about Hamilton being the best this year. It was a decent statement by him. He and Ferrari both have only themselves to blame for screwing up the championships this year. Simple as that. This should have been our year but Vettel and Ferrari weren't up to it. And I, as a Ferrari supporter since 1977, am mightily annoyed about that. yep, he went over to Toto's office (while Toto was changing) and congratulated him. Then walked over into another room and congratulated the crew in that room. I did'nt like the question that DC asked him: ""You had the car, where it all go wrong for you?" and Sebs response was something to the effect of "Some other time, I need to go congratulate Lewis." The question was below the belt but the verbal and body response by Seb was class. well that could be an explanation as to why the Mercs were slow. But if the FIA said the rims were legal after Austin, why plug them again? I have a sense there is something very shady going on. you are correct it is extremely frustrating. Correct, Merecedes did NOT use the "limited illegality" rims for the MexicanGP......that's 2 GP's they did not use them after the FIA and stewards deem them "legal." Lewis tires were shot. Pretty much everyone was experiencing graining/blistering on the left front. Last edited by jgonzalesm6; 29th October 2018 at 16:17. It's nice to see some support for Sebastian. With the exception of his "red mist" moments, the dude has been a class act, and I am proud of what he has done with Ferrari. I really believe he and the team will come back stronger next season. Merc was afraid of a Ferrari protest. Makes me wonder why Ferrari hasn't protested already. Were these rims not used already for a few GP's before Ferrari requested clarification? The FIA is going to clarify their stance on the wheels yet again, probably to make sure Ferrari doesn't make their own version. This whole thing stinks of foul play to me. Merc stops using the wheels for 2 GP's and suddenly they lost their performance edge in both? Hard to believe these wheels aren't helping more than just cooling. Last edited by ferrari1.8t; 29th October 2018 at 17:08. Love your reaction to the knighthood suggestion and I believe we are definitely on the same wavelength, it must be our British sense of humour as I can just imagine you saying it in company down at the local pub! It would be a good drinking session, for sure! I've read that Ferrari was the first team to use a brake disc with 1400 holes. I think the mercs got slower. And yes, there is more to it than meets the eye. Between the Ferrari battery trick and the Mercs limited legality rims, the FIA are not letting on the real truth to the press. We'll prbly never know. After all the excitement created with the already famous Mercedes tires , Charlie Whiting has come on stage to clarify the issue. Although the FIA described the tires as legal in Mexico, in Brazil there will be a meeting with the Technical Working Group to send a more general statement about this solution with the aim of ending doubts once. for all. Well it seems that in the new statement will be announced again that they are legal, what the FIA ​​is afraid are copied in many other ways by other teams on the grid and end this being a real chaos in that issue. So it seems that they will issue a more specific directive for the use of said tires.
" Everyone knows that we believe they are legal , it is not a secret, but we will issue a more general technical directive to deal with the issue in general, not specifically, we want to make sure that someone does not invent something slightly different or even very different and we try to do the same, " said Charlie Whiting . The other doubt arises with Ferrari ... Why did not he protest? Only they know it, not even Whiting understands it. Everyone was convinced that the suspicions about the tires came from a formal complaint from Maranello, but no, it was not like that. Last GP, Mercedes obtained the approval of the Federation to use the perforated tires for the Grand Prix of Mexico , but still decided to return to the previous configuration, thus avoiding possible Ferrari claims . But be careful, not how you solve the problem. The Scuderie could file an official complaint with the FIA in the same way, reason to try to look for any controversy in the German car, as they did with them during ¾ parts of the season.
" Mercedes was aware of the fact that Ferrari did not agree with our interpretation, they felt they could receive a formal protest, they felt that knowing that we considered the solution legal was not enough, I think they wanted to be very sure. Ferrari can still protest, I do not really know why they did not do it, " said Whiting himself regarding Mercedes' decision not to mount the controversial tires in Mexico. Finally, the F1 race director said that the idea is not to ban tires: "The decision of the stewards referred to Mexico, so if it were used again in Brazil, it could be a problem . it is necessary [to prohibit it], as long as it is clear that it has been done for a reason, and if there is an accidental effect on the aerodynamics of the car, it should be fine, there are many, many things that influence it, such as suspensions or wheels. paper is pretty clear. " Aren't those considered moveable aerodynamic devices?